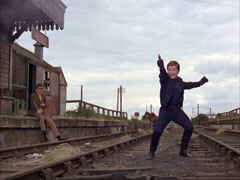 A dusty siding, a disused station, two men on horseback. Norman Grant (T.P. 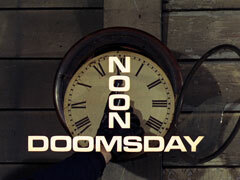 McKenna) makes sure the station is deserted, then asks Kyle Farrington (Ray Brooks), "When?". 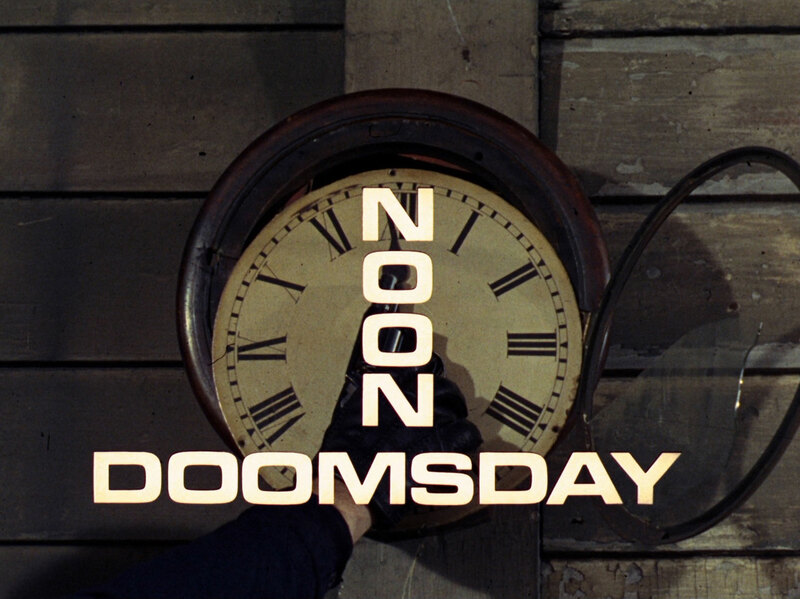 Kyle says, "Not long", but Grant wants him to be exact; Kyle replies, "Twelve, we kill John Steed at twelve noon". Grant moves the hands of the broken station clock to twelve. Mother (Patrick Newell) is installed in Steed's flat, Rhonda (Rhonda Parker) putting the silencers on his suitcase of phones. Steed's 'phone rings and he snatches it angrily; it's Tara, looking for Steed who is at Department S, recuperating from an injury. Mother warns her she can only enter the facility at precisely 10:30 - one second either way and she'll be dead. 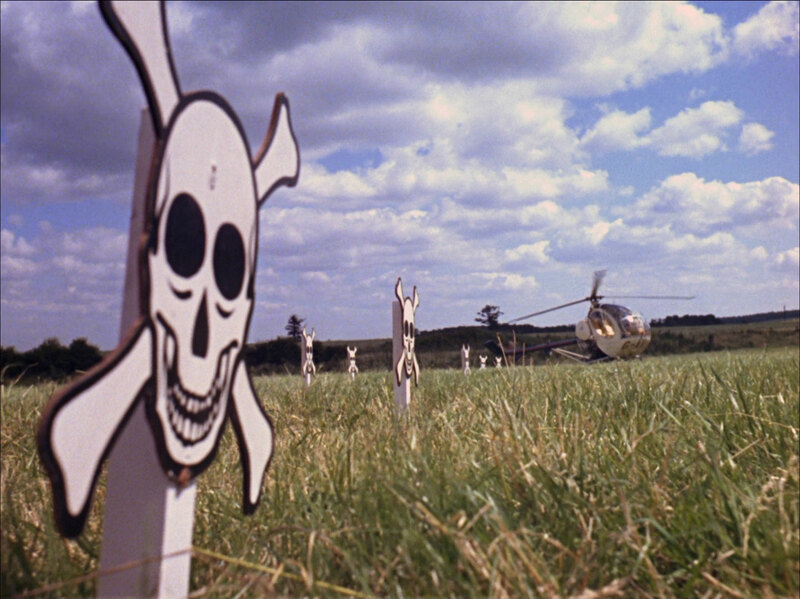 A taxi driver (Alfred Maron) drops her off at a rundown farm, incongruously protected by electric fences and minefields. She's met by Giles Cornwall (Lawrence James), who reactivates the defences behind her. Inside, she produces a bottle of champagne from the bouquet she's carrying. Meanwhile, Grant is whiling away time practicing his shooting, tossing a can in the air and emptying every chamber of his revolver into it. Dr. Hyde (John Glyn-Jones) checks on Steed, who hurriedly hides the champagne in a vase. Hyde isn't fooled and predicts a speedy recovery, then tells Steed to save him some champagne. Outside, Cornwall enters a barn, where he is killed by an unseen assailant. Later, Dr. Carson (David Glover) appears, looking to give Sir Rodney an injection. Up the hill, Grant cuts the 'phone lines while Farrington muses what to buy his niece for her birthday. Steed is sorting through his mail when Sir Rodney (Griffith Jones) appears, arm in plaster and he scurries away at mention of Carson's hypodermic. Steed finds a seven year old Opera ticket for June 19 - that day - in his mail; Tara wonders if it's a trick that takes seven years - and Steed is jolted by a recollection of events. Grant meanwhile is toying with his tin can again, but before he can shoot it, Farrington skewers it with a throw of his knife; he comments that bullets are noisy. Tara discovers the 'phone is dead and Steed asks Roger Lyall (Lyndon Brook), who's just entered, to take her to Cornwall's office to use the radio. They find the radio smashed and go in search of Cornwall. 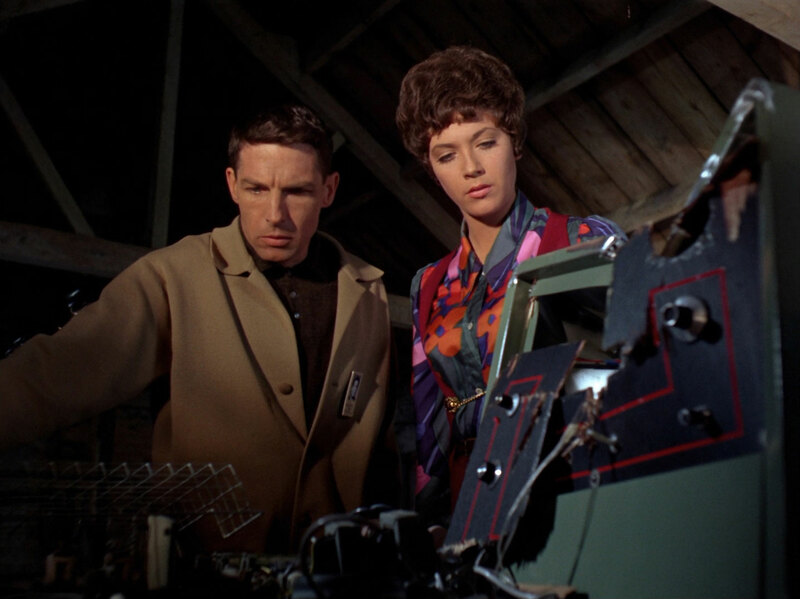 Lyall tells Steed about the radio while Tara runs into Jules Perrier (Peter Halliday), an injured French agent, who prevents her from entering the minefield. 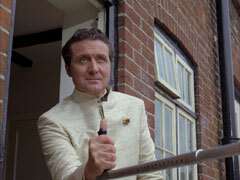 Steed tells Carson to find Hyde, as he must have a key for the security system. Tara discovers Cornwall's body in the barn, the key removed from its chain, and narrowly escapes being buried under bales of hay. Her attacker escapes and she runs into Perrier outside. Mother is overjoyed at working with an agent with a fine cellar, having lined up an impressive array of drinks on Steed's desk. He's told that Kafka has escaped but is unconcerned - Steed is in the only place where no-one can get at him. Steed finally comes clean and tells the assembled agents that Gerald Kafka, ex-head of Murder International was captured by him at midday precisely seven years ago, and he's coming for him. Lyall starts to show signs of the anxiety which has brought him to Department S. He's wondering who'll be next when they hear shots outside. Lyall runs away while Tara goes to investigate, and sees Dr. Hyde's body at the bottom of the well. She descends and is examining the body when the killer, Carson, points the revolver at her. Tara quickly heaves the rope, knocking Carson down with the spinning handle, and starts to shin back up the rope. She reaches the top just in time and fights Carson, who is killed in the struggle. 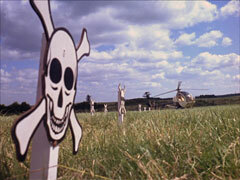 As he dies he tells her he threw the key into the minefield. 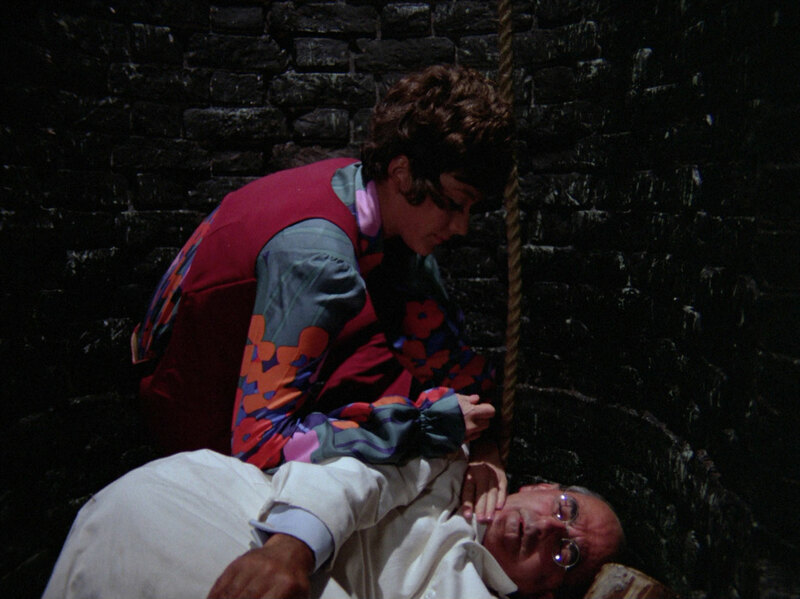 Steed tells he the key was taken so they can't get out, not to let Kafka in - they're trapped and Kafka won't come alone. Tara rushes off to enlist help, but fares poorly. Perrier refuses on the grounds his likely death will not benefit his country, Sir Rodney is a lecherous roué who becomes a craven coward at mention of Kafka's name, Lyall is a quivering wreck, attacked by nerves. She finally wins support from the man least likely to be able to help, Edward Sunley (Anthony Ainley), who is encased in plaster from head to foot; he asks to be wheeled to the window so he can act as lookout. Back at Steed's flat, Mother has finally sampled every drink in the liquor cabinet when he receives a call informing him the Department S line is dead. Galvanised into action, he makes four rapid calls, establishing a Code Red alert for Kafka. He's relieved to hear the security system is still fully functional, until he learns Kafka escaped by helicopter. Kafka (Peter Bromilow) arrives and collects Farrington and Grant, telling them that Steed is his, they are to mop up any other opposition. Tara goes out to meet the three assassins, who have just found Carson's body. Kafka retrieves the bribe while Farrington drops his carnation on the body. The spot Tara and chase after her. She fights Grant and Farrington until cornered by Grant. He plans to execute her but she hurls a ladder at him then shoots him with his revolver. Farrington has climbed the roof and takes aim at Tara. Sunley warns her by dropping a flowerpot out the window and she grabs the knife that has just missed her and hurls it back at him, and he plummets to the ground. Tara keeps Kafka at bay then, finding she only has a single bullet left, bluffs her way out, demanding that Kafka surrender as he is now alone. She doesn't see Farrington struggle back up and heft his knife, but Kafka does. Kafka agrees, but when Tara emerges she's pinned to a door by Farrington's dying throw of his knife. Kafka declares it "checkmate" and points two revolvers at Tara, upon which Steed hobbles out the door. Steed raises his crutch as Kafka levels the revolvers at him, but Steed fires a spear from inside it before he can get a shot off, and the arch-villains staggers backwards before collapsing. Tara and Steed embrace, while Sunley waves a salute to victory from his window. 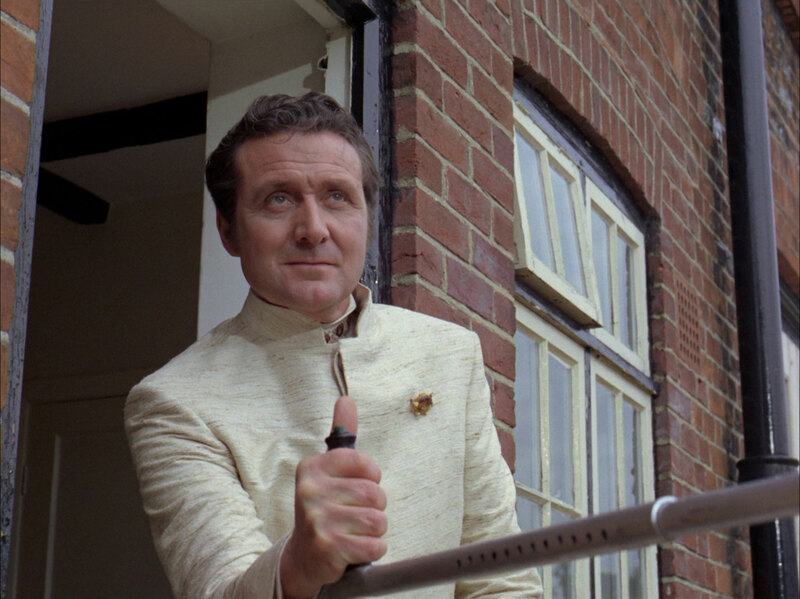 Tara arrives at Steed's flat, dressed for dinner and Steed gives her a gesture of his affection and gratitude - his plaster cast, containing a bottle of champagne, an amber brooch, cigars (by mistake), a sun hat, a parasol and a luminous sundial.